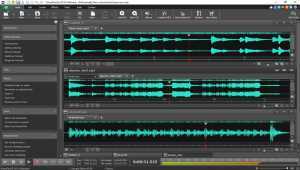 WavePad Masters Edition for Windows is sound editing software for Windows. 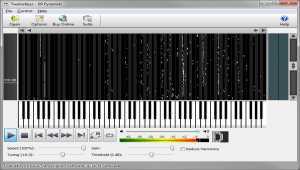 This program lets you make and edit voice, music and other audio recordings. 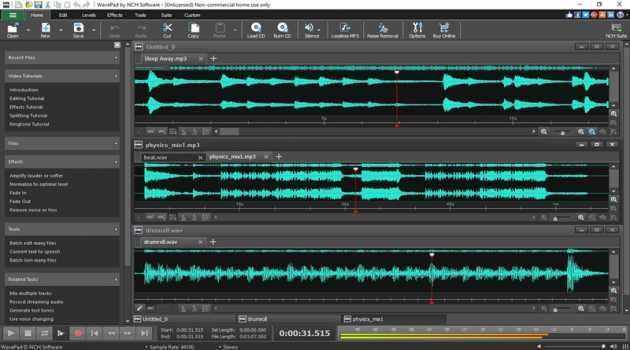 You can use the cut, copy, and paste feature to create your own audio file. 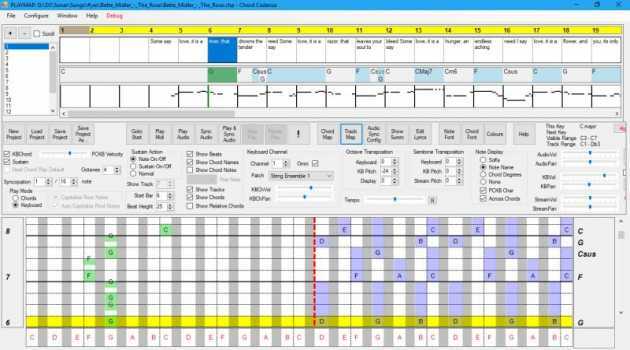 MixPad Free Music Mixer and Recording software designed for easy audio production. 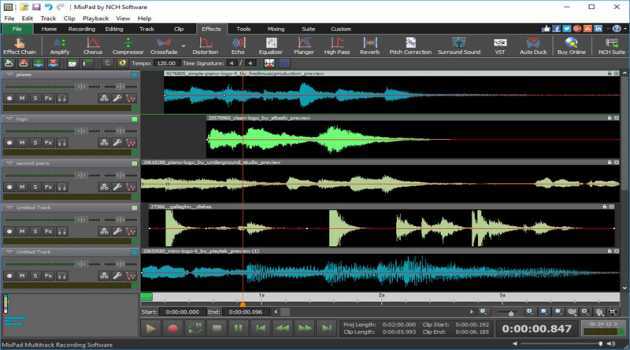 Mix your favorite music, vocal, and audio tracks. 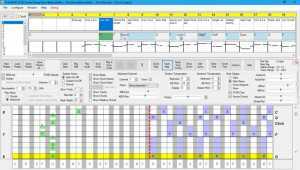 Use MixPad as your digital mixing desk to adjust the volume, pan, fade and more. 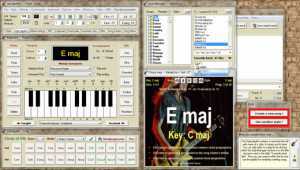 WavePad is a music and audio editor for Windows PC computers. 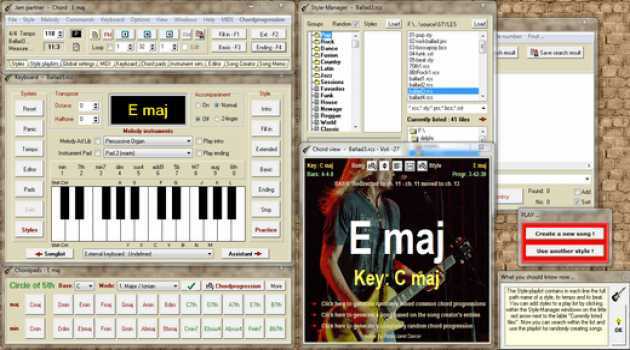 WavePad allows you to create and edit voice, music and other sound recordings. 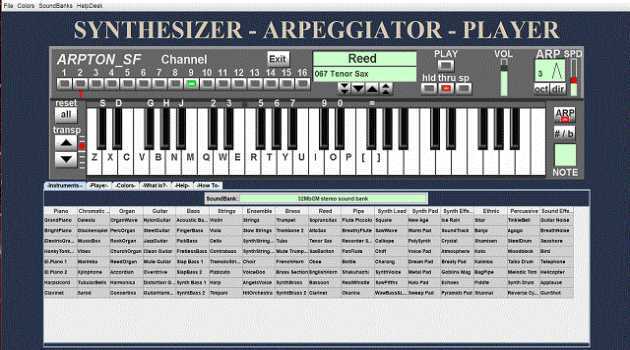 You can duplicate sections of recordings and add echo, amplification, noise reduction and other effects. 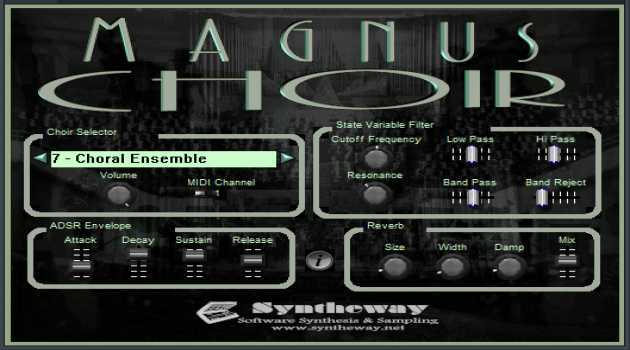 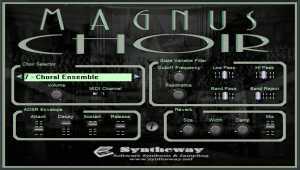 Magnus Choir is a virtual instrument plug-in which can be used to create natural and synthetic choirs. 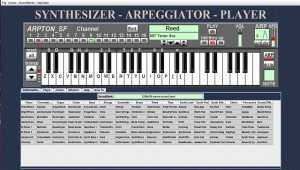 ARPTON SF Synthesizer Arpeggiator Player (v.3.1) is a FREE electronic musical instrument emulated in software. 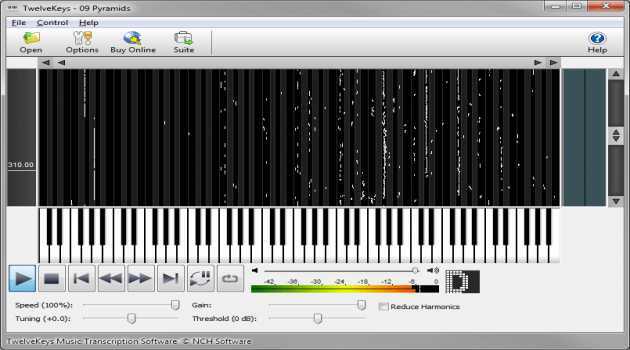 It turns a PC keyboard into a piano keyboard and uses sounds from many SoundFonts available on Internet. TempoPerfect is a free software metronome. 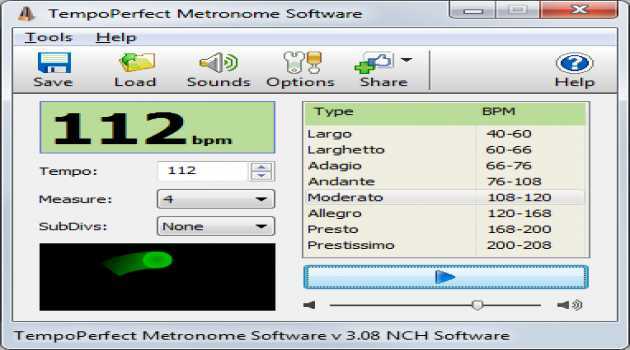 Unlike mechanical metronomes, our software metronome provides a clear and precise beat that won't wind down, making it an essential tool for any musician. 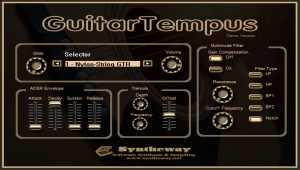 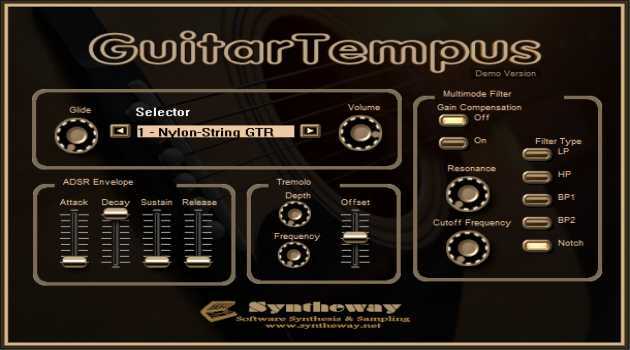 GuitarTempus is a virtual guitar VST plugin designed to emulate the acoustic (nylon, six and twelve steel string), semi acoustic (hollow body) and electric 'clean' guitars.